Click the button below to add the Dandruff Clear Scalp Conditioner #Dandruff Conditioner# to your wish list. Often, conditioners are made with ingredients that are not scalp friendly and in time may worsen flakes. Our Clear Scalp Conditioner is formulated from the start to be a healthy irritated scalp hair conditioner that beautifies hair while relieving a dry, flaky scalp. Derived with botanical ingredients to provide hair with bounce, shine, and health without any buildup or residue. Removes dead skin, loose flakes and cleans the hair and scalp for a fresh look. Our Clear Scalp Conditioner is gentle, can be used on all hair types and is safe for daily use. Helps soothe symptoms of irritated scalp with wholesome ingredients. After using our soothing conditioner, you will be left with healthy, hydrated hair that is flake free and lustrous. Made with pure ingredients that nourish the scalp and hair. Foraha, Neem and Tea Tree oils have antibacterial properties that nourish, hydrate and balance the scalp. This light conditioner is infused with Camellia Seed Oil and Panthenol - Vitamin B5 that detangles, smoothes, softens and strengthens without weighing hair down. 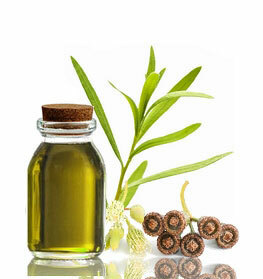 Foraha, Neem and Tea Tree Oils have antibacterial properties that soothe, hydrate and balance the scalp. Aloe Vera helps soothe the hair and scalp from infection and provide hair with a clean shine. Burdock Root and Sarsaparilla herbal extracts calm and soothe dry, inflamed scalps. Peppermint, Rosemary, and Lavender revive the senses and stimulate the scalp to encourage hair health and soothe the scalp with a tingly sensation. After rinsing with shampoo, apply irritated scalp conditioner and evenly distribute. Leave conditioner on hair for a few minutes to help smooth cuticles and allow the active ingredients to condition your scalp. • Soothe the scalp with a vinegar rinse to remove debris, dirt, and flakes. Our Vinegar Rinse Cleanser Scalp Relief is ideal for irritated scalp! • Try not to shampoo every day. This can irritate the the scalp, which can worsen flakes. • Avoid applying conditioner on the scalp as this can cause flakes and itchiness. My scalp was literally falling apart! I had every kind of irritated scalp from small snowflakes to 1/2 inch dry flakes. I tried everything. I mean everything from store brands to other expensive name brands, nothing worked. OMG, within days my irritated scalp was gone and my scalp looked clear, healthy, and moisturized. Thank you thank you thank you. Your irritated scalp products really work. I love that conditioner!! The great thing about this conditioner is that it prevents you from having irritated scalp plus it makes your hair look great at the same time. This conditioner is thick, so it doesn't take much to soften your hair. It smells good, and it's just wonderful. I can't wait to use it again. My irritated scalp was gone and my scalp looked clear, healthy, and moisturized. This is the only conditioner that keeps my scalp from drying out and causing flakes. This is a great conditioner if you want your hair to be super soft and shiny! This nutritive hair conditioner for irritated scalp is pleasant smelling and makes your hair feel baby soft - like silk! I LOVE the way my hair feels when I use this. It sure does take care of the scalp dryness I used to have. This is by far the best irritated scalp product! Think about it, if you have irritated scalp and use a conditioner why not use a conditioner that gets rid of irritated scalp. It's the only one that actually makes my hair and scalp look and feel healthier. This nutritive irritated scalp conditioner left my hair bouncy with just the right amount of conditioning. It also feels that my hair is a little fuller. I am able to use it daily. Works great!!!! I wanted to find a product that is made with nutritive non harmful ingredients so I thought I would give this nutritive irritated scalp conditioner a shot. This irritated scalp conditioner really helps control irritated scalp. ..a great product that really surprised me. You can feel the nutritive ingredients sink into your scalp and go to work. Leaves a nice fresh feeling to your scalp and a refreshing herbal smell. It leaves your hair feeling clean and very smooth. Nothing out there beats this irritated scalp conditioner! Started to use this irritated scalp conditioner for my dry scalp and I was impressed with the result. I'm so hooked. This deep conditioner makes my hair very soft and smooth and I don't want to use any other conditioner. If you want silky hair though while controlling irritated scalp, try this! I am convinced that this nutritive conditioner cured my irritated scalp. My hair is kind of dry and a little damaged and i used this stuff. This leaves hair clean and fresh smelling. I highly recommend it,… protects my scalp and also keeps my hair healthy! I'm impressed! I use this product as a co-wash and use your Pre Wash Treatment as my deep conditioner. I currently cut my hair into a pixie cut and my scalp has been itching like crazy. Even though my hair is very thick and somewhat curly, I feel as though everyone sees the ugly flakes. I applied this conditioner and my hair soft and shiny on day 1. Day 2 my hair is still soft and shiny with no flakes or itch. I co-washed again to refresh my hair and my scalp is still flake free. Keeping this product in my arsenal. I use a lot of dry shampoos because I'm always on the run. Over time the caused a lot of residue to my scalp leaving it very dry and flaky. I used this clear scalp conditioner and shampoo.Unlike the many commercial irritated scalp shampoos and conditioners, my hair feels soft and shiny without being oily or dry. Highly recommend. My 2 year old has been suffering from seborrheic dermatitis and this has been the only thing that has made a consistent difference. We tried the prescription and over the counter shampoos and they just seemed to damage her hair and scalp with no lasting results. We now use the clear scalp shampoo and conditioner every other day for her and she is flake free and her hair is soft and her scalp healthy. I was hesitant to buy because of the price BUT I do feel that the bottles will last us a while and that it is worth it for the quality. I use a lot of dry shampoos because I'm always on the run. Over time the caused a lot of residue to my scalp leaving it very dry and flaky. I used this clear scalp conditioner and shampoo.Unlike the many commercial dandruff shampoos and conditioners, my hair feels soft and shiny without being oily or dry. Highly recommend. I love this stuff. I have flair ups which I would hide underneath hats and hoodies. I used this every day for a week and saw that my inflamed scalp was improving. I will buy more of these products. I use this conditioner on my ten-year-old nephew and he likes the smell of it as well. I like the thick creamy nature of the conditioner. It moisturizes my hair and helps hydrate my scalp without making my hair flake. It works well with my sulfate free shampoo and has a fresh soothing scent. I have used a bit of this product as a leave-in conditioner as well and it leaves my hair soft without flaking. I just reviewed the shampoo equivalent and like i said, my 3b coarse curly hair loves it. I have struggled with dandruff for years and this is really helping me-which says alot! Not many products have been able to clear me up. The ingredients are wonderful, smell is nice and subtle and feels great to put on and to rinse out. Thick consistency which i like for my curls! You need to try it!